Cold, dry weather will be here before we know it. If you're like me, you're already planning to tackle dry skin with the help of a hydrating sheet mask. 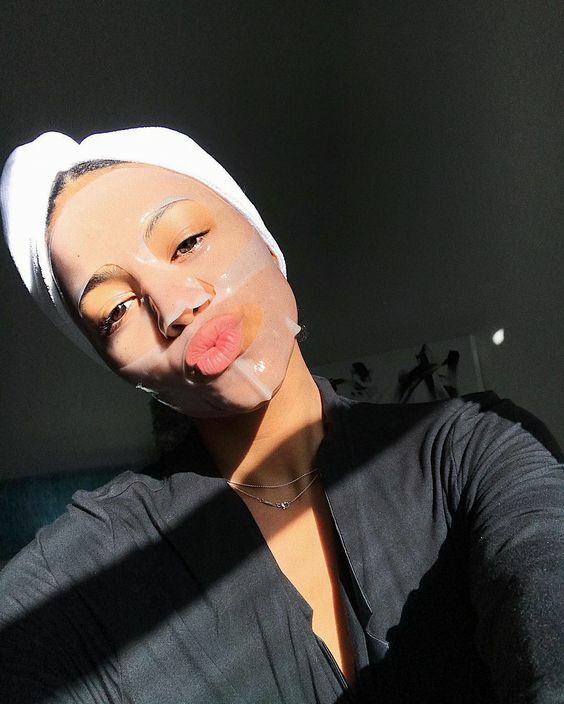 Have you noticed that sheet masks have been evolving lately? It appears that the paper-based masks are being replaced for ones made of gel. These newer masks are often referred to as hydrogel. At first glance, you can easily spot the difference between these and their paper-based counterparts. I made the correct assumption that gel masks would probably run a bit steeper than your run of the mill sheet mask. After contemplating whether I should invest in a few gel masks, I realized that I already discovered a sheet mask hack that could work even better. I've mentioned this product in the past, but that was before hydrogel masks become so prevalent. Before you run out and invest your well-earned dollars in these higher priced masks, I want to let you know that you can create your own. More accurately, you can convert the sheet masks you already own into one that performs like a gel mask. Simple. All you need is a silicone sheet mask cover. The benefits of hydrogel masks are that they help preserve the hydration longer (because of their gel structure) and they better adhere to the face. That is exactly what a silicone sheet mask cover does! You simply place it over your current sheet mask allowing you to wear it for longer periods of time. You can get a ton of chores done around the house while wearing one of these. With a silicone cover, your sheet mask will never dry out. Best of all, your nifty sheet mask cover is completely reusable which makes it a wise investment. Let's not forget that silicone sheet mask covers are versatile, allowing you to use any of your current favorites. I may try a hydrogel mask in the future for the experience. But something tells me that I'll be a paper sheet mask wearer for life. I heard people complain that hydrogels aren't as hydrating yet they cost more. Why not get a silicone cover that beautifully seals in moisture? Save your money that you'd be throwing away on hydrogels and get yourself something nice. The only gripe that I have about the mask covers is that I have a big face and they are made for small, cute faces. Luckily for us, silicone stretches so I make it work. Cheers to forever hydrated skin! Great recommendation! Will be ordering and so inexpensive!